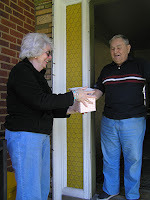 Colesville Meals on Wheels (MOW) is a non-profit (501c3) organization incorporated in the state of Maryland operated by volunteers as a community service. 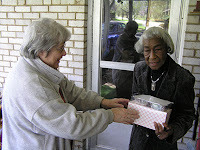 It provides home-delivered nutritious meals to the homebound, elderly, disabled or convalescent who meet certain eligibility criteria. The meal is suitable for those on low-fat, -salt, or -sugar diets. No one shall be denied service because of race, color, creed, gender, or financial status. 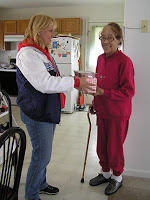 Clients should be unable to shop and/or cook a healthful meal for themselves or have no one available to prepare meals. Our area includes eastern Montgomery County Maryland north from the Beltway to Briggs Chaney Road. A cold lunch meal and a frozen dinner meal on weekdays with the exception of permanent federal holidays: New Years, Martin Luther King, Presidents, Memorial, Independence, Labor, Columbus, Veterans, Thanksgiving, and Christmas days. Softened or pureed meals are available. Daily menus are chosen by our supplier and cannot be changed.